However, when we move beyond Orthodox Judaism and encounter Reform Judaism we are faced with the same disturbing concerns regarding the role of the Jewish rabbis. Reform Judaism maintains that the religion and Jewish traditions should be modernized and be compatible with participation in the surrounding culture. Many aspects of Reform Judaism hold that Jewish law should be interpreted as a set of general guidelines rather than as a list of restrictions whose literal observance is required of all Jews. Reform Judaism was founded in America by Isaac Mayer Wise. Wise was a rabid, recalcitrant, racist rabbi who referred to Jesus as a “near lunatic,” and like his predecessor Maimonides, considered Black people as subhuman. Rabbi Wise openly boasted that White Jews gave Christians a God and a religion. 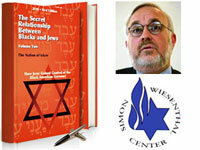 According to the landmark publication The Secret Relationship Between Blacks and Jews, Vol. 2, Rabbi Wise’s students were some of the “most notable Jewish clerics in American history.” Among them were Max Heller, Morris Newfield, Isidore Lewinski, Max Raisin, David Marx and Moses Jacobson, all of whom served in the south. A troubling alliance developed between racist rabbis and members of the Confederacy. This alliance led to a symbiotic relationship between and among members of the southern slavocracy and the Jewish religious leadership. One example is that of Rabbi James Gutheim, the New Orleans Rabbi and ideological student of Rabbi Wise, who in 1862 encouraged Southern Jews to support the Confederacy, and prayed to God to bless the Confederate slaveholders. When desegregation of the New Orleans school system was proposed Rabbi Gutheim came up with an alternative, he founded a Hebrew school in protest. Rabbi Wise, Maimonides, Rabbi Raphall and other rabbis used the Talmud to justify their concept of racial superiority over Black people. In the southern Jewish ethos Blacks were demonized so that Jews could develop without the impediment of racism. 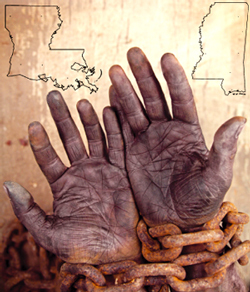 The rabbis played a crucial and strategic role of supplying “spiritual air cover” for racist Jewish and Gentile slave owners to justify their dehumanization of Black people in the institution of American slavery. The Holy Qur’an calls out the rabbis and the doctors of law like the Simon Wiesenthal Center’s Associate Dean Rabbi Abraham Cooper and The Center’s Dr. Harold Brackman when it asks why don’t the rabbis reprove the unrighteous and aberrant behavior of the recalcitrant, racist Jews. The reason is that the rabbis have benefited financially from the enormous profits gained from our enslavement. Therefore, this conspiratorial relationship benefited the entire Jewish nation in America and throughout the world. A part of this conspiratorial relationship included the deafening silence of those Jews who knew what was happening to the Black man was wrong but chose to be as silent as synagogue mice. For example, what accounts for the entire absence of Jews from the abolition movement? They did, however, participate in the Civil Rights Movement whenever their self interest coincided with our self interests. But we were used as the battering ram as they benefited from our being battered. More important, however, was their control of the Civil Rights movement through their control of the Civil Rights organizations. There is hardly a Jew who would not agree that the Jews used their financial wealth, legal expertise and public relations skills to start, organize and manipulate the direction and issues organizations like the NAACP, the Congress of Racial Equality, and the Student Nonviolent Coordinating Committee adopted. Further, leaders like the great W.E.B. DuBois were used as figureheads, promoted by them to give the appearance of independent Black leadership. They used their wealth, power, and influence as board members, board directors and presidents of our organizations to steer these organizations in the directions they desired to see them go, not the direction Black people wanted to see their organizations go. Ask yourself these questions. How many Black board members, board directors or presidents of B’nai B’brith have you ever heard of and do you know? Or, how many Black people do you know who have ever been in charge of Jewish organizations? How the rabbis grew to exert such influence over the ages is an amazing story within itself. If Biblical admonitions had been adhered to the rabbis who exerted such power and influence from the Middle Ages to the middle of the 20th Century would never have emerged as significant power brokers. The Jewish rabbis emanated from the Levitical priesthood. A Levite is described in Webster’s New Collegiate Dictionary as “one who is of non-Aaronid descent assigned to lesser ceremonial offices under the priests of Aaron, the brother of Moses.” Sigmund Freud, the father of modern psychiatry and one of the world’s most famous Jews, said that Moses was not a Hebrew, but instead an Egyptian. Hence, Moses and his brother Aaron were Africans, not members of the Levite tribe. In chapter 18 of the Book of Numbers, God gave Aaron explicit instructions concerning what his role as High Priest in charge of the spiritual development of the Children of Israel was to entail. The God of Israel was also very direct concerning the role and functions of the Levites. The Levites were never to have been considered priests; they were only to serve as temple assistants, foot soldiers, guardians of the temple and in other places, minor functionaries. How, then, did the Levite rabbis assume the role of the Biblical directed Aaronid priests? They usurped the role of the priests of Aaron. This transition took place over a period of hundreds of years. A careful reading of the Old Testament will show how Aaron’s progeny was systematically replaced by the offspring of the Levites. The history of rabbinical racism is clear. They supported a system that resulted in Jews being placed in heaven as a result of translating the sweat equity of African slaves into enormous profits for themselves. Black people, in turn, were given first class, front row seats in hell. 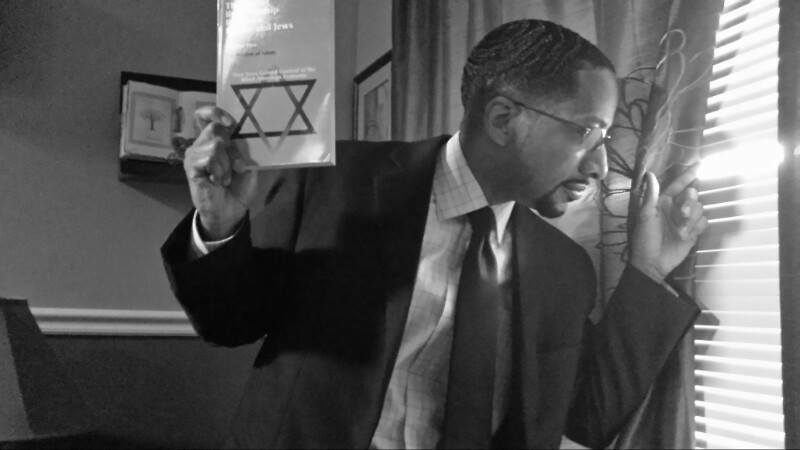 Therefore, before members of the Jewish rabbinical community can continuously label the Honorable Minister Louis Farrakhan as an anti-Semite and a racist, for which they have absolutely no evidence to corroborate such allegations, they must openly and honestly confront their own anti-Black and racist past. The Minister has repeatedly asked for dialogue with that community; he has been continuously rebuffed. With the documented historical past of hundreds of years of discrimination against Black Americans and African people documented in The Secret Relationship Between Blacks and Jews Vols. 1 and 2 and in Jews Selling Blacks, is there no wonder there is such great reluctance to openly discuss these issues?